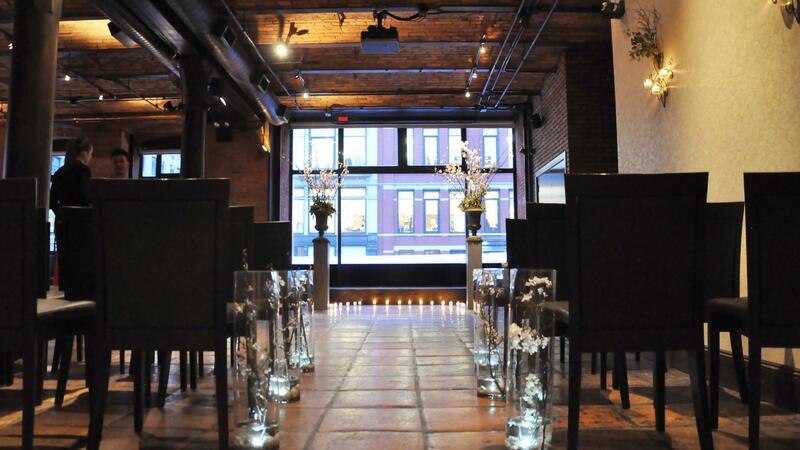 Rent The Gallery At The Astor Center | Corporate Events | Wedding Locations, Event Spaces and Party Venues. The ideal multipurpose space, the Gallery comfortably and elegantly plays host to any event intended for enjoyment or education - or both! Refined yet inviting, it is the perfect choice for a culinary lecture, a product demonstration, or a gourmet meal to celebrate a job well done! With vaulted ceilings and elegant architectural details such as exposed brick walls and cast-iron columns, the Gallery offers a spacious and beautiful backdrop for innovative entertaining.